Train Mountain is the world's �Longest Miniature Hobby Railroad� according to the 2004 Guinness World Records. Thirty-six actual miles of 7 1/2 inch gauge track wind through a pristine pine forest covering over 2,000 acres. 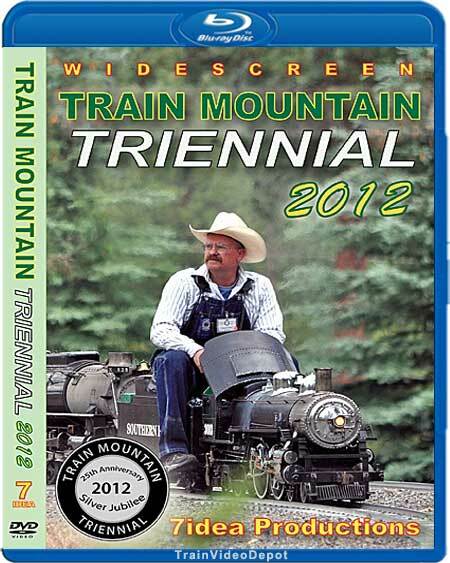 Located in the mountains of southern Oregon, this is THE destination for live steam enthusiasts from all over the world. 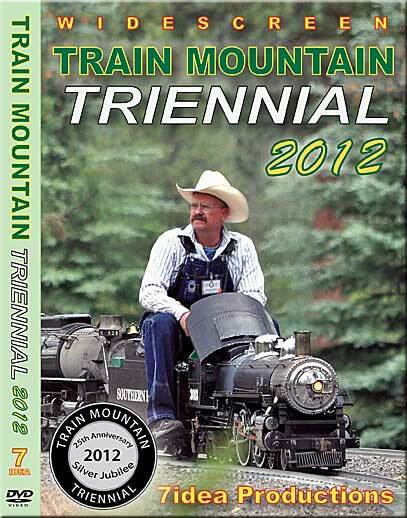 Every three years, people gather from all parts of the globe to enjoy this incredible railroad.The year 2012 marked Train Mountain's 25th Anniversary and this Triennial was a special meet with nearly 1,400 people in attendance and 275 trains! There were 95 steam engines, 93 gas, 84 electric and two that ran on food! Includes bonus footage of the Parade, Bill Dobb's K-36 steam engine in the snow and some behind the scenes footage of the film crew in action.